Neil Howe: Let's unpack this. Everyone agrees the overall divorce rate (divorces per 100 married women) rose rapidly from the mid-1950s to about 1980 and has been declining gradually ever since. 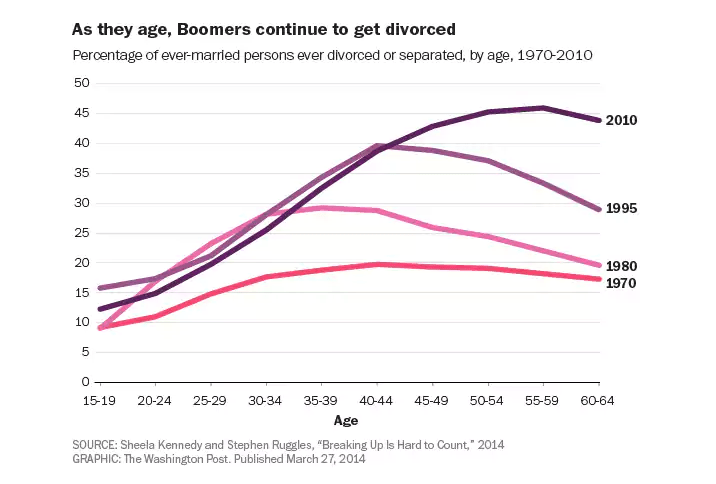 Part of this post-1980 decline is due simply to the aging of married people--and the fact that older people divorce less often. Once you adjust for age, the recent downward trend is less clear: This author says there is still a decline, while others contend (after making adjustments to the data) that the rate is still rising slightly. Either way, the recent stabilization is the net result of two groups moving in opposite directions: younger cohorts (Gen Xers and Millennials) who are increasingly divorcing less at any given age; and older cohorts (Boomers and Silent) who are increasingly divorcing more at any given age. On the other hand, let's qualify any description of Xers and Millennials as maritally more stable. 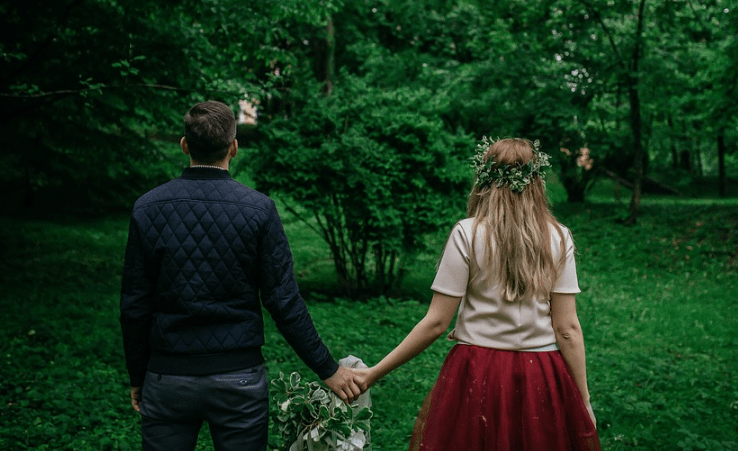 Their divorce rate is declining, in part, because the most divorce-prone members of these cohorts (by education, income, and ethnicity) are not getting married in the first place. To quote from the article: "Fewer divorces, therefore, aren’t only bad news for matrimonial lawyers but a sign of America’s widening chasm of inequality. Marriage is becoming a more durable, but far more exclusive, institution." Howe: As we have pointed out elsewhere (see: "Declining Business Dynamism: A Visual Guide"), Boomers are pushing up entrepreneurship among the elderly even as it declines among young adults. "Ask most New Yorkers to picture an entrepreneur, and they imagine a 20- or 30-something in jeans and sneakers." But as the author rightly points out, this stereotype is being shattered by the graying of startup artists. While Mayor de Blasio continues to demand full funding for hundreds of Big Apple senior centers that focus on calisthenics and shuffleboard, what a rising share of these Boomers really want is marketing and support for all their new businesses. Howe: This essay is occasioned by a new Millennial-authored novel, "Boomer1," which is (perhaps) a bit overfilled with Millennial stereotypes: a frustrated guy living in parent's basement; a happier and more achievement-oriented girlfriend whose life is actually going somewhere; and a Boomer mom who wonders what went wrong. If Millennials are forming battalions to wage war on Boomers--something perhaps you can sense in political leanings--you sure don't see it in their living arrangements or in their popular culture. Unlike Boomers in their youth, these kids are simply too amiable. To quote from the essay: "A recurring joke in " Boomer1" is how many of its Millennial characters actually like the Grateful Dead."